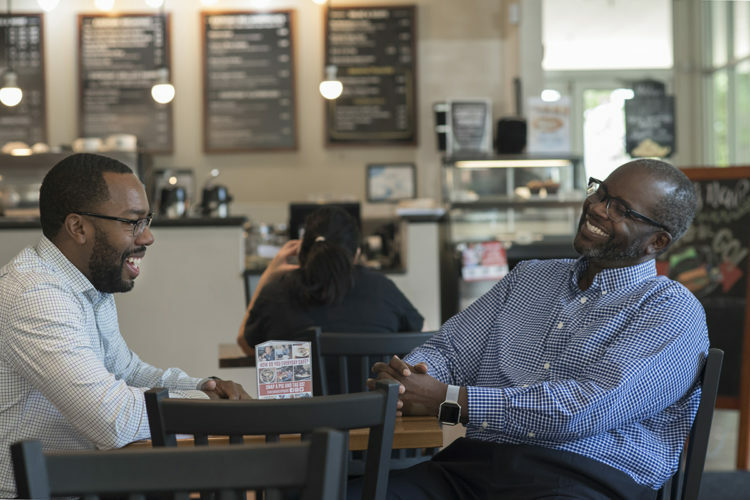 What makes a community? We wanted to capture the remarkable people and places that are helping to revitalize Homewood from the inside out — from the company that just moved there in March with a mission to hire locals (and the other incredible organizations they share a building with) to the vital resource and architectural gem that is the Carnegie Library and the dynamic Homewood residents shaping their community. In the photos below, Pulitzer Prize-winning photographer Martha Rial brings you a window into this ever-evolving place. 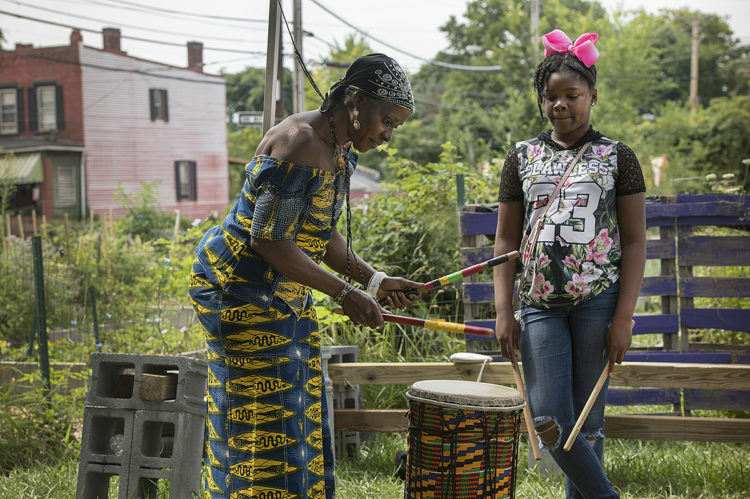 Aysiah Imani Miller (right) watches Kadiatou Conte-Forte give a lesson in West African drumming at Sankofa Village Community Garden in Homewood. Conte-Forte was born in Guinea and came to the U.S. in 1972. On this day, Miller was visiting the garden with other students from the Legacy Arts Project’s Learn and Earn program. Kayla Campbell, age 15, adjusts the model home she made at Drafting Dreams in Homewood. 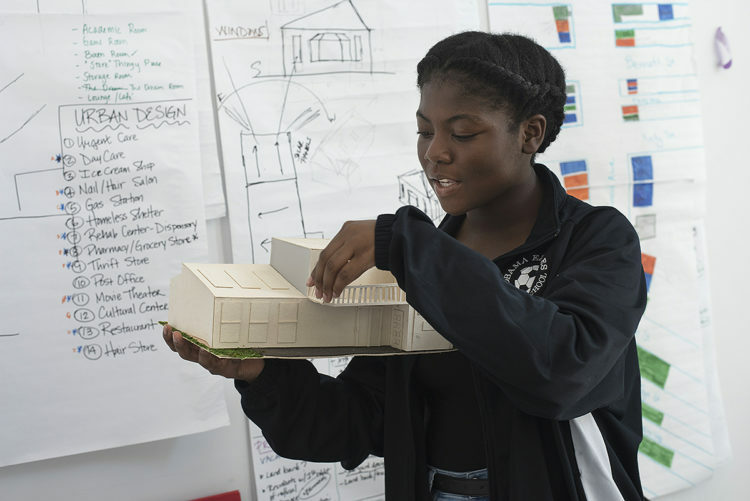 Drafting Dreams provides students in kindergarten through high school with instruction in architecture and urban design. It was one of the 24 “Learn and Earn” sites operated by Homewood Children’s Village this summer. 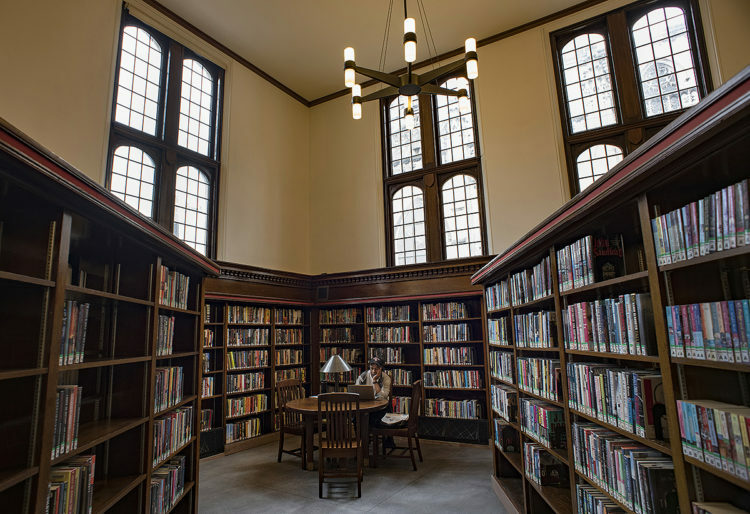 The open stacks at the historic Homewood branch of the Carnegie Library of Pittsburgh provide a number of private corners for reading and surfing the web. When construction was completed in 1910, it was considered one of the best libraries in the country built by Andrew Carnegie. It was also the last library he built in Pittsburgh. Today, it offers public computers and free wifi to the community. 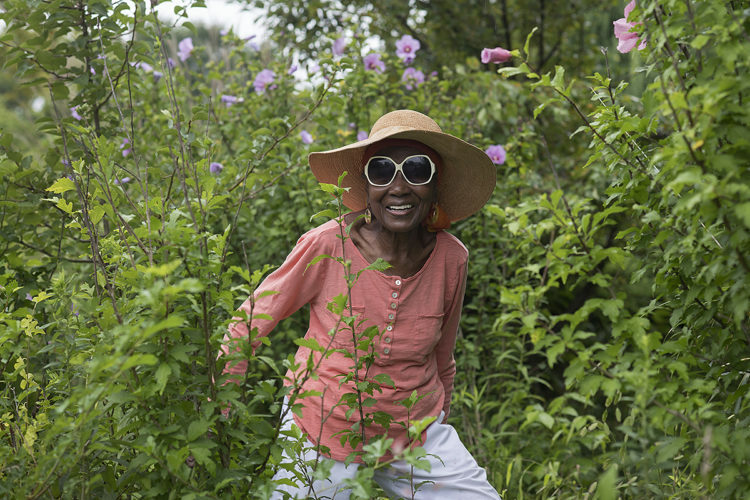 Long-time Homewood resident Mary Savage, 87, searches for her favorite pink Rose of Sharon in one of the 12 community flower gardens she cares for in Homewood. Savage moved to Homewood when she was 19, and has grown gardens and tended to more than a dozen vacant lots around the neighborhood ever since. She says the community could always tell where she had been because they’d notice that those neglected empty lots didn’t just get cleaned up once. They’ve been well maintained even as the years have rolled by. 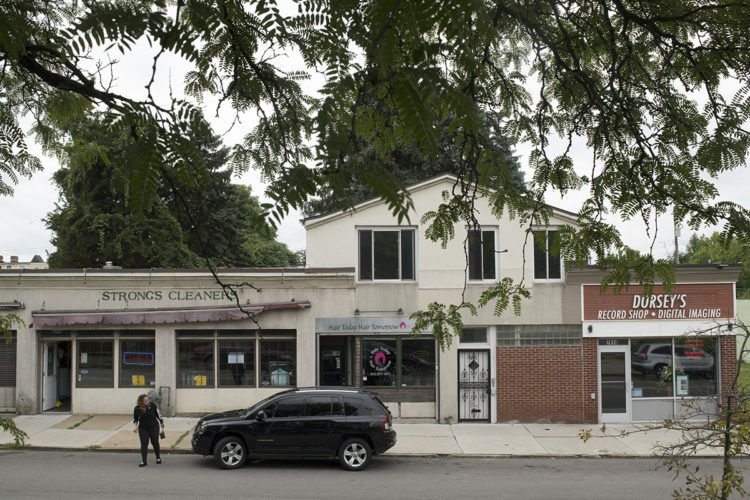 Long-time Homewood businesses Strong’s Cleaners and Dorsey’s Records on Frankstown Avenue serve as a resource for the people of Homewood. 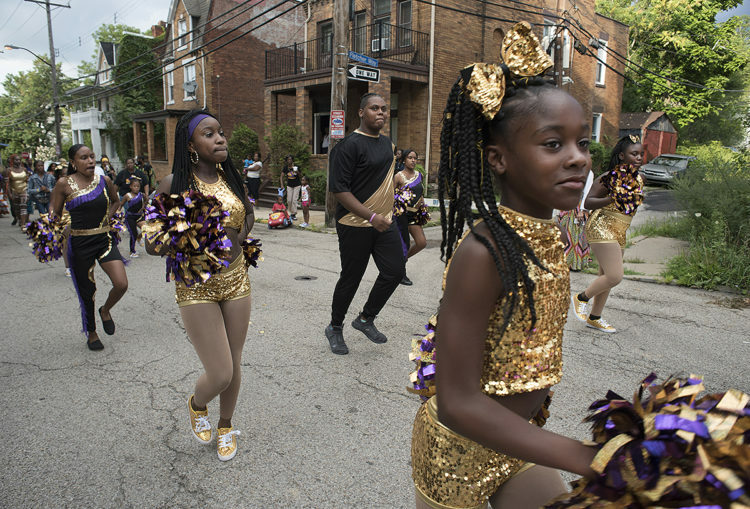 Members of the Lady Diamonds Dance Team march down N. Murtland Street in the Afro-Nubian Parade in Homewood. The parade kicked off this year’s annual Harambee Black Arts Festival. Last year’s festival celebrated the 50th anniversary of Homewood. 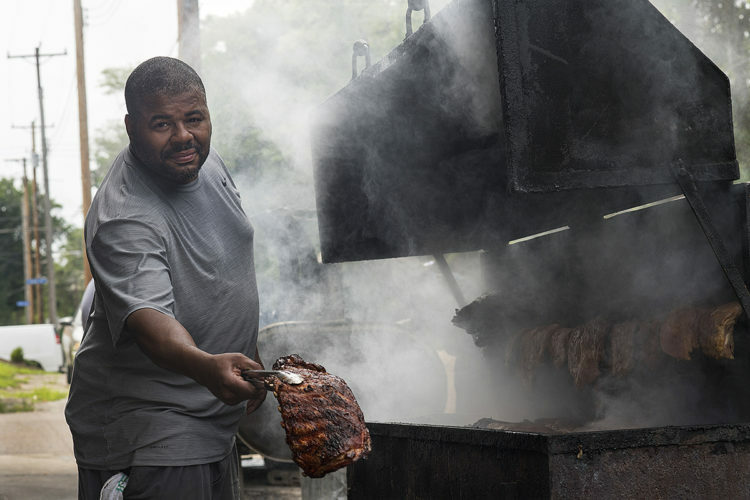 Drew Allen, seen here with a slab of delicious barbecued ribs, is the owner of Showcase BBQ on Frankstown Avenue in Homewood. Allen is a self-taught pitmaster and is known for his unique Northeast style of barbecue. 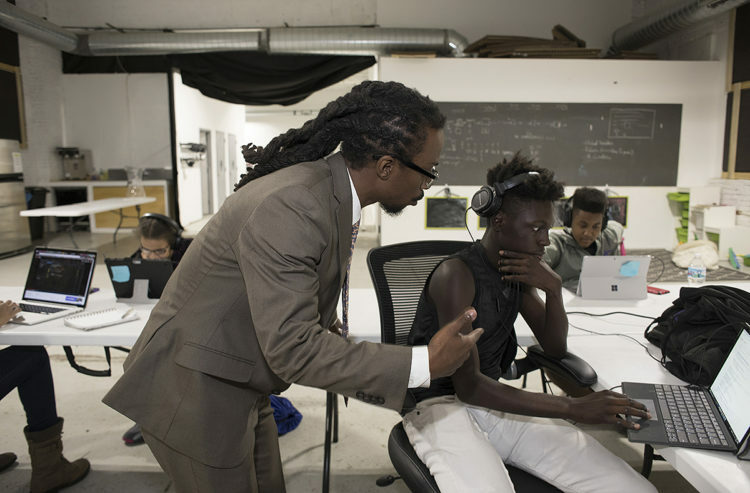 Homewood Children’s Village CEO Walter Lewis offers student Donnell Thompson some guidance on video game design at The Shop in Homewood. Thompson was one of 135 local students participating in Homewood Children’s Village‘s “Learn and Earn” summer program. HCV was able to offer 24 different work sites for teens this summer. Lewis was named CEO of HCV last month. 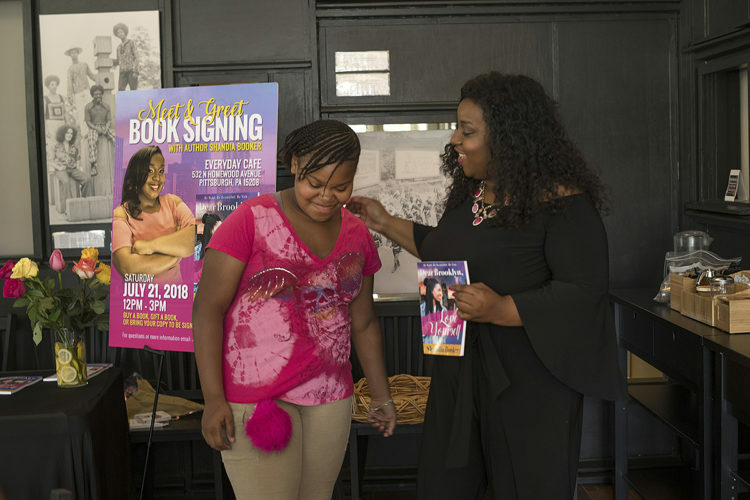 Local author Shandia Booker greets Pittsburgh Faison fifth grader Nautica Morgan during her book signing at Everyday Café in Homewood. Booker is the counselor at Faison and she wanted to write “Dear Brooklyn, Love Yourself” because when she was young it was hard to find empowering books for pre-teen African-American girls. 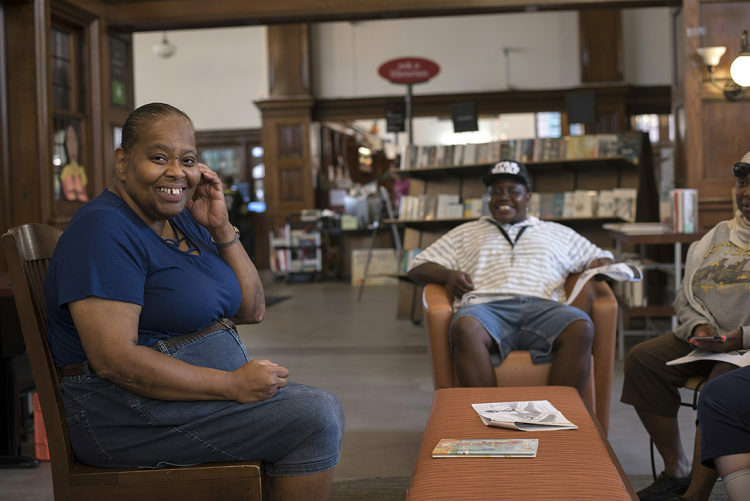 Denise Graham has worked for Carnegie Library for 40 years. She has been at the Homewood branch for 17 years and now serves as branch manager. Who does Graham recommend reading? Her favorite authors include Nora Roberts, John Grisham and Stephen King. 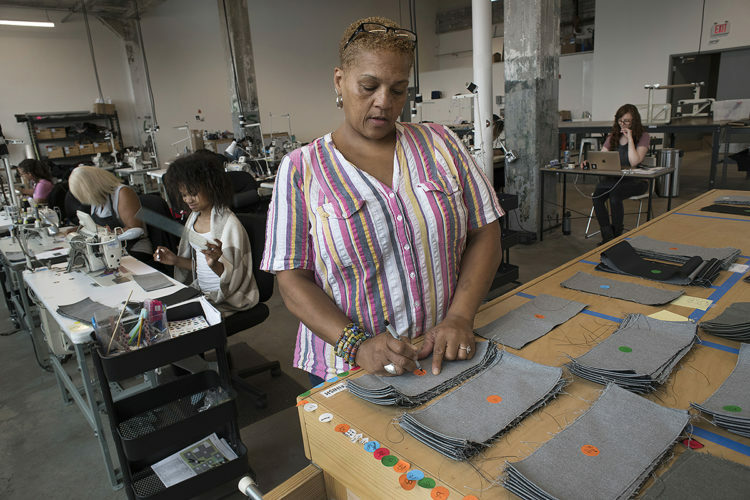 Nina Wilson is seen here labeling fabric at Thread International at 7800 Susquehanna St. in Homewood. Before Wilson was a seamstress, she drove a bus for Port Authority for 25 years. Thread International was founded in 2011 by Ian Rosenberger and makes fabric out of recycled plastic bottles. They are now creating their own products and have hired and trained several Homewood residents to be seamstresses at their new location. The Dikki Du Zydeco Krewe perform at the Afro American Music Institute in Homewood on July 27, 2018. AAMI Co-founder Pamela Johnson is from Lousiana and wanted to share her love of Zydeco music with Pittsburghers. 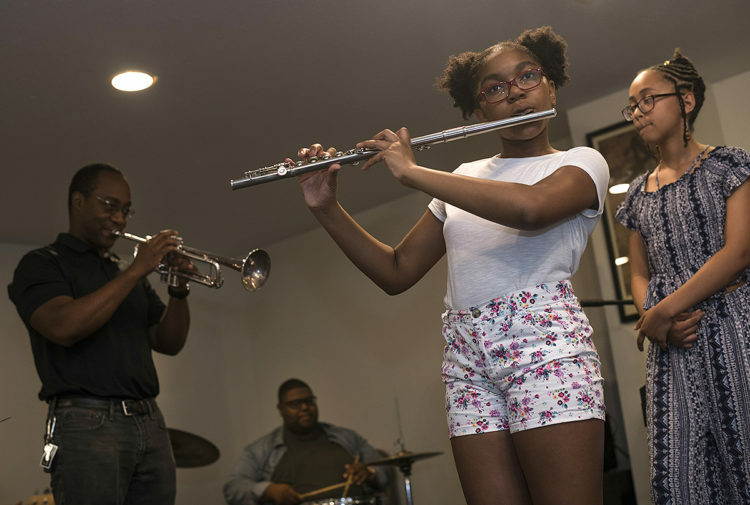 Paula Menifield-Morgan performs bluesy jazz classic “Moanin” on the flute, backed up by instructor Dr. Ron Horton (left) during the Summer Youth Intensive Music Camp performance at the Afro American Music Institute in Homewood. This year’s theme was God’s Children, God’s Plan. 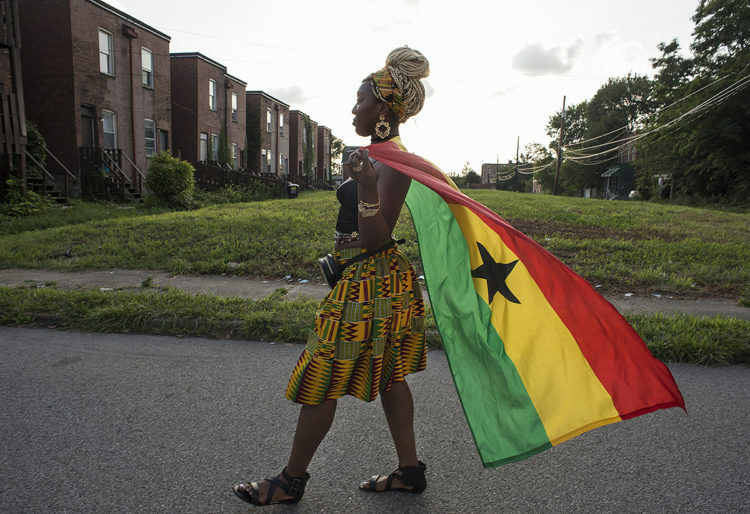 Akosua Nimako holds Ghana’s flag as she walks in the Afro-Nubian Parade in Homewood. The parade kicked off the annual Harambee Black Arts Festival. Her name Akosua means “born on a Sunday” in the Ghanaian language. The post What makes a community? Take a look at Homewood through 15 striking photos. appeared first on NEXTpittsburgh.